Monet, Sisley, Boudin, Daubigny and Pissarro. Dordrechts Museum dedicates an impressive exhibition to the work of Jongkind and several of his well-known artist friends. 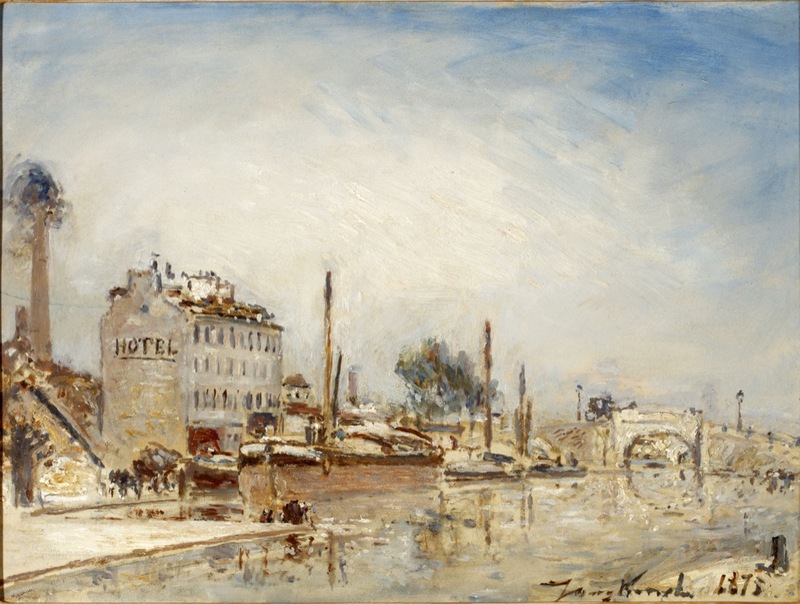 Claude Monet, Le Port de Trouville, 1870, Szépmu”vészeti Múzeum/Museum of Fine Arts Budapest. 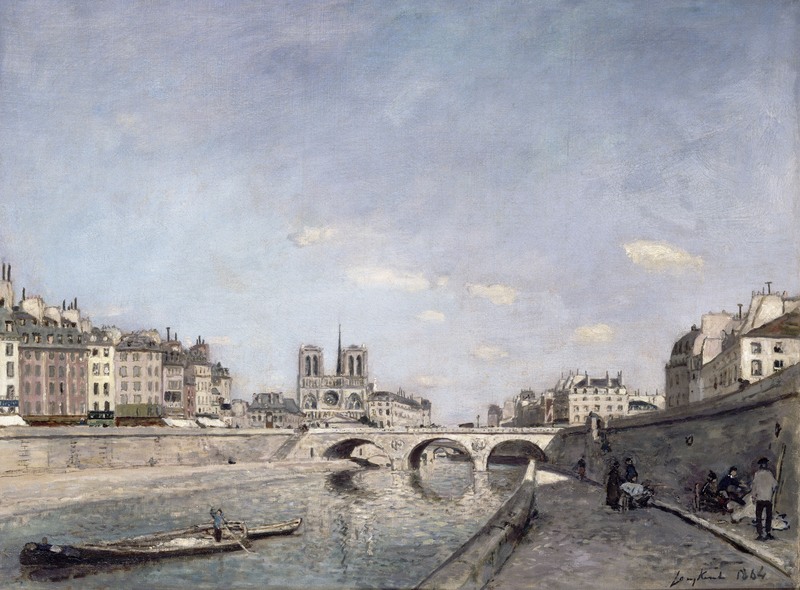 Claude Monet said that Jongkind had told him how to look: “He took care of the education of my eyes” and Eduard Manet called him ‘the father of the modern landscape’. His work was dearly loved by the French audience. 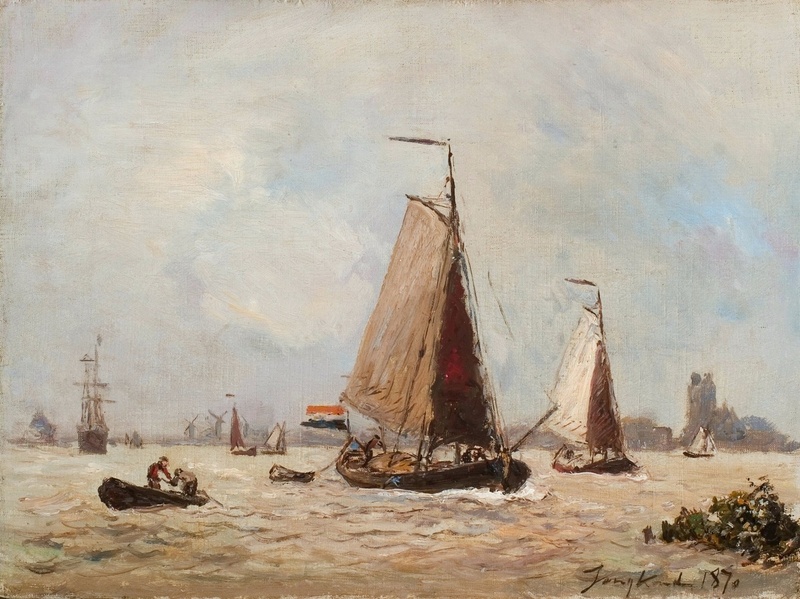 Jongkind frequently returned to the Netherlands, where he painted the harbours of Rotterdam and Dordrecht and the Dutch polder landscape. Especially his clair de lune paintings, landscapes with moonlight, were very popular in France. Jongkind thought Dordrecht ‘the most beautiful city of the Netherlands’ and urged other French artists to visit the picturesque city. 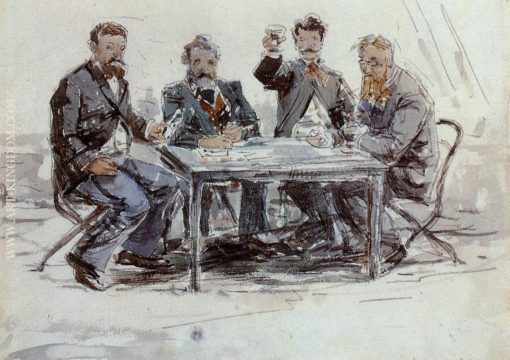 The Dordrechts Museum presents paintings by Jongkind in combination with the works of befriended artists, including several key Impressionist artists. 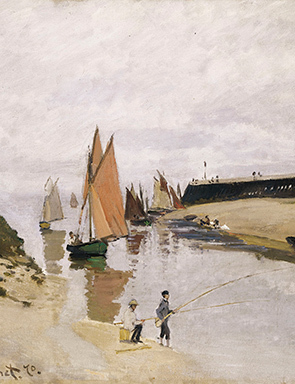 Themes of the exhibition are Jongkind’s early years in The Hague, his years at the Normandy coast and his time in Paris. 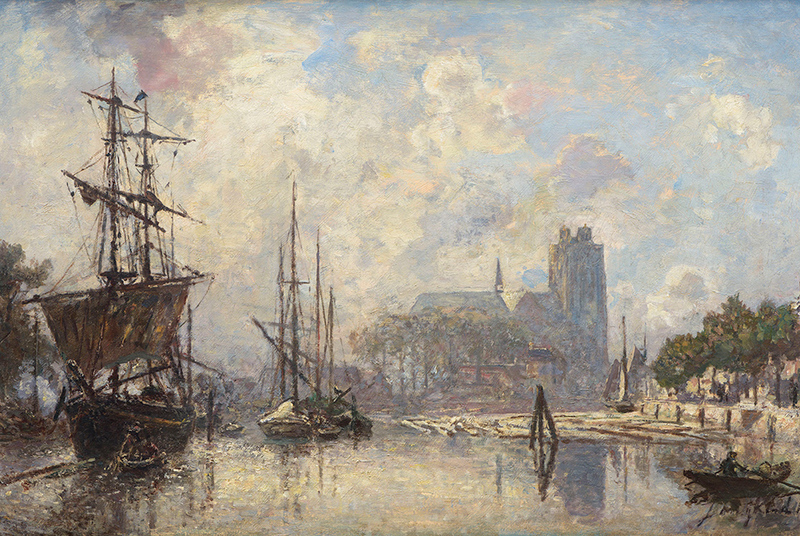 Of course Jongkind’s paintings of his beloved Dordrecht and surroundings will be on display. Moreover, a modest selection of watercolour paintings shows the virtuosity of his quick and to the point brushstrokes. Many of the works on display will be exhibited for the first time in the Netherlands. Several of the works come from private collections. The exhibition Jongkind & friends runs from 29 October 2017 to 27 May 2018 in the Dordrechts Museum. This year, the Dordrechts Museum celebrates its 175th anniversary and as such is one of the oldest urban museums in the Netherlands.